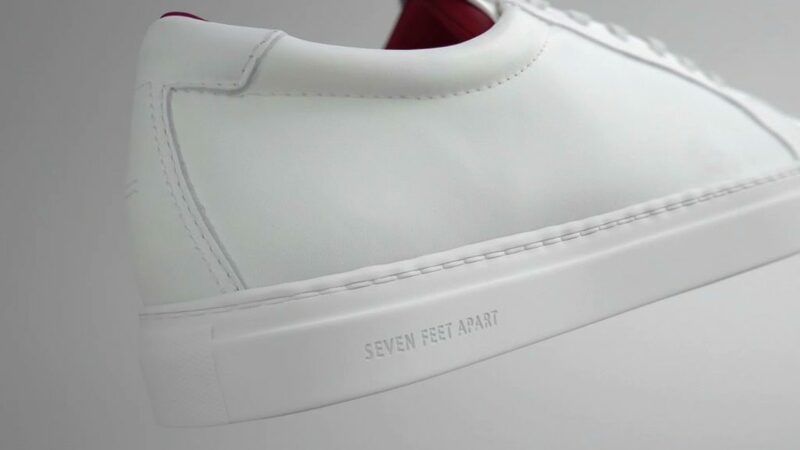 Premium footwear brand, SEVEN FEET APART commissioned Loveurope and Partners (LEAP) to create a CGI product demo film to support their marketing strategy. Co-founded by the former MD of Naked Communications, Matthew Bagwell also serves as the Chief Brand Officer, so we were pleased that he selected LEAP creative director, Danny Coster to direct an animation for his new enterprise. SEVEN FEET APART sells directly to consumers online, at events and at pop-ups. 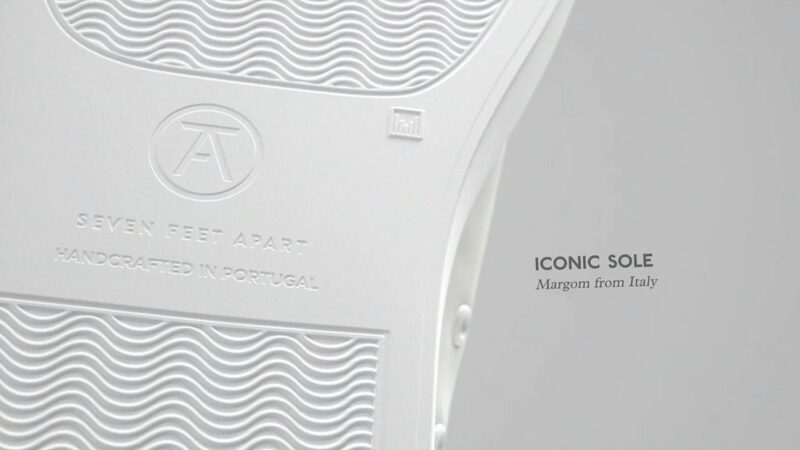 Previously relying on a dissected shoe to demonstrate the seven layers of the finest footwear materials between the wearer and the ground, the brand owners wanted to find a way to showcase the benefits of their product on screen. 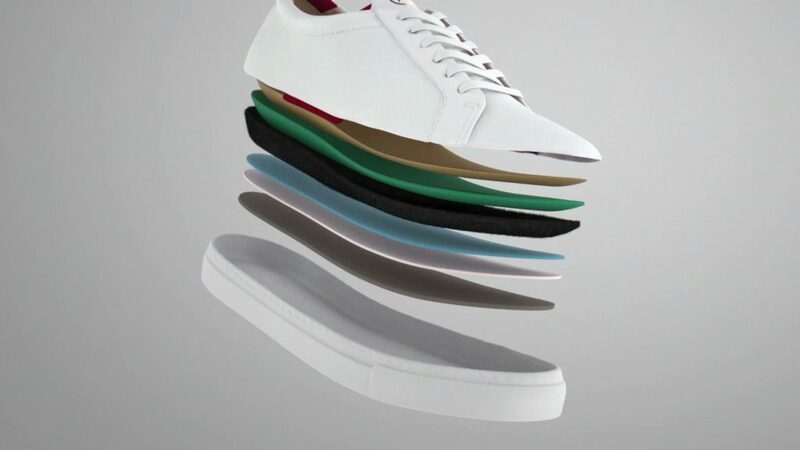 Coster’s creative treatment for a virtual creation of their signature leather trainers incorporated various CGI techniques in photogrammetry, modelling, VFX simulations, lighting and photo-real rendering to show the dynamism and elegance of Sevens. 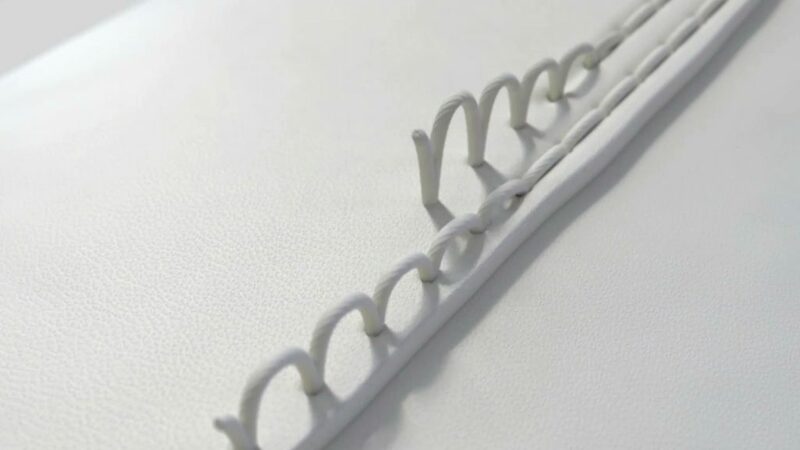 Close ups of precision stitching call attention to superior construction. A 3D-explode and reversal of the device bring together layers of sole and shoe while annotations identify top quality materials and their role in making the perfect sneaker. An accentuation of details on the heel and tongue highlight their comfort bridge system. Finishing touches such as the emboss of the Margom mark on the sole to further emphasise the level of excellence in every shoe they make. 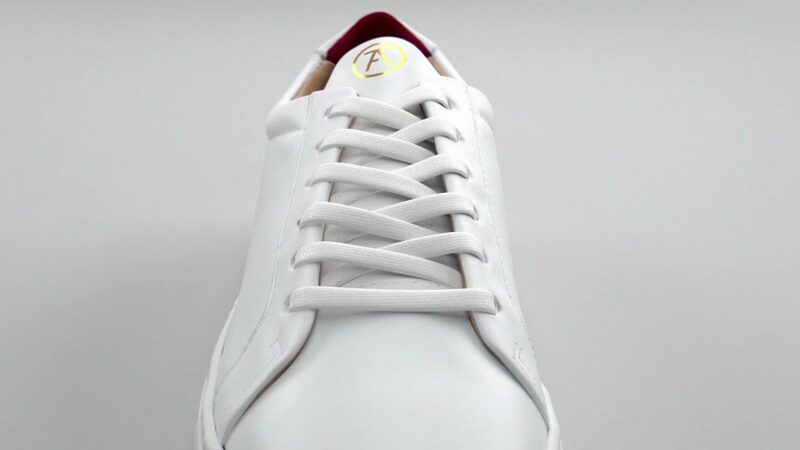 Designed in the UK and handcrafted in their workshops in Portugal, SEVEN FEET APART make a full range of casual and formal shoes for men and women and donate seven percent of their resources to helping young people in local communities. The brand’s messaging emphasises the tremendous amount of care and love that go into everything they do. 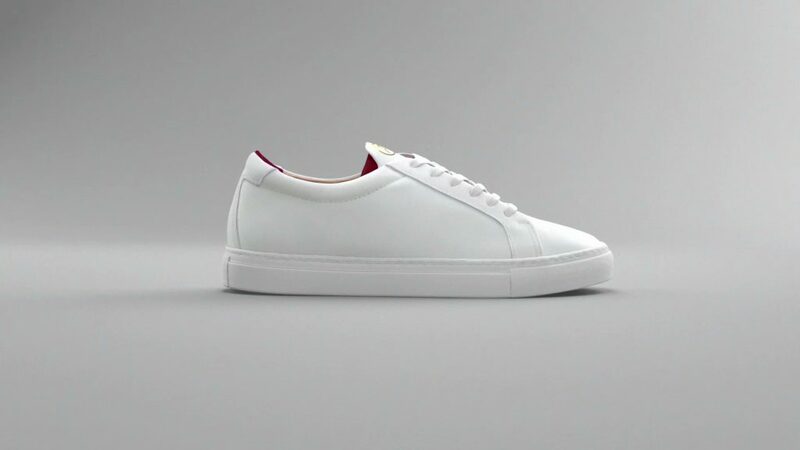 Each pair is designed to deliver style, quality and comfort, so we created a film that would convey the same values in our representation of their product. Our production workflow ensured that our clients received an excellent level of care and attention with regular feedback sessions which enabled them to, in a sense, co-create a piece of branded content that everyone could take pride in. Look out for the Sevens Comfort Forever film on social media platforms and in live presentations.